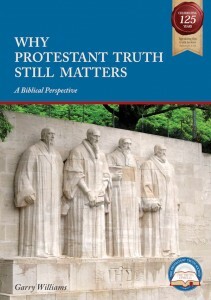 This booklet describes the benefits to our nation of the Protestant Reformation. Order your copy today – only £2.95 incl. postage. Discount for bulk orders. It is with relief that the many unforeseen consequences, spiritual and practical, of the unravelling of our Protestant Union with Scotland has not come about. We thank God for the blessings He has poured upon the United Kingdom of Great Britain and Northern Ireland across the years, and turn to Him in trust that He will bring us all together under His rule. We hope that all the people of these islands will come to see that the freedom that He offers, through His Son Jesus Christ, is of so much more value than what this world has to offer. The Annual Cambridge Lecture will be held (D.V.) on Monday November 3, 2014, 7.30pm, at The Round Church, Bridge Street, Cambridge CB2 1UB. Rev. David Silversides (Loughbrickland) will be speaking on John Knox’s Ministry in England, and there will be opportunity for questions after the lecture. 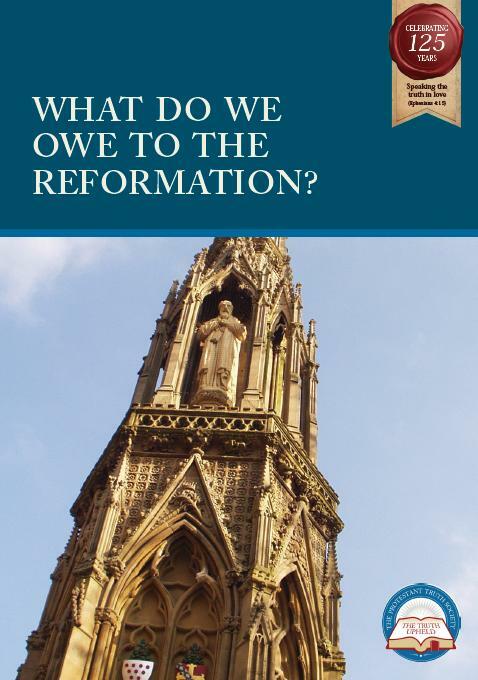 This booklet sets out the biblical foundation of the five Solas of the Reformation and examines traditional and contemporary Roman Catholic teaching in light of these key Biblical doctrines. Order your copy today – only £3.95 incl. postage. Discount for bulk orders. 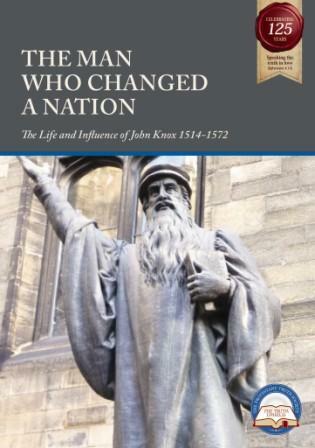 To mark the 500th anniversary of the birth of the great Protestant Reformer, John Knox, the Protestant Truth Society has published this 28–page booklet to commemorate his life. This attractive and very readable booklet, in full colour, brings ‘Knox to life’ for today’s generation. This booklet makes Knox – his life and work, accessible to people of all ages. The booklet provides both a timely reminder of how God graciously blessed our nation in past days; and is a powerful incentive to seek God’s face for such blessing in our own day and generation. The year 2014 is the anniversary of the birth of John Knox, the great Scottish Reformer. Over the intervening years many blessings and benefits have come to our country as a result of his influence. Sound religion, universal education and responsible government are among these blessings, for which our beloved country has been renowned. What John Knox saw, and which many today have apparently forgotten, is that “righteousness exalteth a nation: but sin is a reproach to any people” (Proverbs 14:34). Powerful gospel preaching, such as John Knox gave his generation, reaches into the very soul of a nation and the results of it are seen in the way people as a whole behave. This is not surprising because good religion always produces care for others, respect for good law, and a view of life which puts the Bible, the church and the Sabbath on a high level of priority. As a nation we cannot get back to these excellent practices too quickly. It was said of Knox at the end of his life that he “neither feared nor flattered flesh”. This means that he put his duty to God first, even when it meant running the risk of persecution at the hands of those who did not fear God. This apostolic courage was essential to his faithful stand for truth and righteousness. 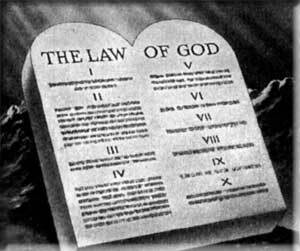 It is a courage which God’s people need no less today in what is an increasingly secular society. I have much pleasure in commending this account of the life of Knox and I hope it will be read carefully—and prayerfully. The dawn of a New Year provides a very natural opportunity for us as believers to pause and take stock. It is a time when we should both reflect on the year that is past and ask ourselves if in 2013 we truly lived to please and glorify God, and to look forward asking how can we live in 2014 in a way that will produce a greater likeness to Christ. All true Christians must surely be saddened and deeply concerned as we have witnessed, in our day, the marginalization of the institution of marriage in our nation.